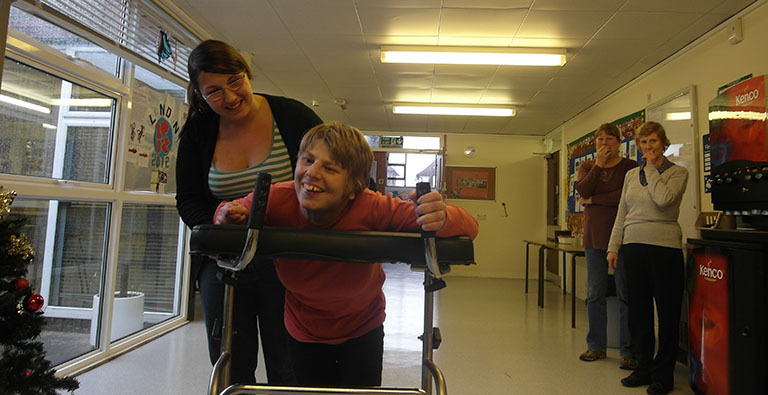 Claire has severe learning difficulties coupled with mobility problems. She is unable to walk unaided so the day centre she attends in Rickmansworth provided her with a walking frame. Unfortunately, because of Claire’s small stature and walking gait, she could not safely use the standard walking frame. Our team were able to modify the frame to suit Claire’s size and manner of walking. Claire and the staff are delighted with the result as she no longer has to remain in her wheelchair because she now has a suitable walker.